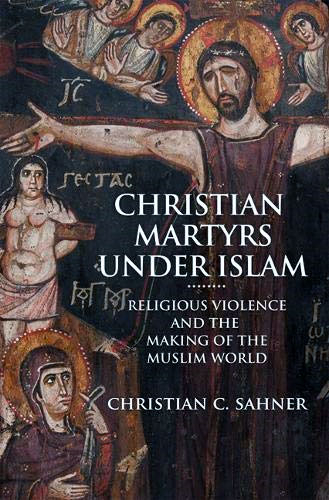 Sahner, associate professor of Islamic history at Oxford University, informs the reader that Christian Martyrs under Islam "seeks to explain the earliest stages of a long-term process whereby the predominantly majority-Christian Middle East of late antiquity became the predominantly Islamic region of today. In particular, it explores the role of religious violence in the process of de-Christianization." The evidence marshaled by Sahner validates his thesis. He focuses on Christian blasphemers and apostates to Christianity between the seventh and ninth centuries. The Umayyad and Abbasid authorities regularly tortured and executed these individuals in "grisly and ferocious" ways, including crucifixion, amputation, and the preferred method, death by fire. Sahner also shows that "heavy taxes and harassment" by Muslim authorities caused Christians to "turn to Islam faster than sheep rushing to water," to quote an eighth century chronicler. Even unrepentant Christian blasphemers among the Martyrs of Cordoba—whose vociferous attacks on Muhammad have caused many academics to dismiss them as rabble-rousers who got what they deserved—vented and revolted against a suffocating system that required them to appease every Islamic sensibility at the expense of their own faith. The book's weaknesses are its limited vistas: Sahner has no interest in "writ[ing] a history that connects past and present." Fair enough, but by not acknowledging the evident continuity between pre-modern and modern persecution, he risks casting persecution in antiquity as anomalous. For example, he documents Christian and Muslim sources confirming that Christian blasphemers and apostates were regularly burned alive but urges readers to "keep in mind that immolation and cremation were stock motifs in Christian hagiography." Knowing that Christians are still being burned alive today, not just by Islamic terrorists of the Islamic State, but by other observant Muslims—including Pakistanis who burned a "blaspheming" Christian man and his pregnant wife alive—suggests that barbaric medieval accounts of immolation were not mere "stock motifs." NBC News, Nov. 7, 2014.